Everywhere I turn these days, I'm seeing great looking cake mix cookie recipes - like this recipe for German Chocolate Cake Mix Cookies - in magazines, in cookbooks, on the internet. 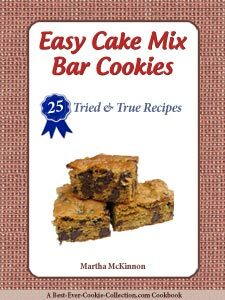 When I sent out a call to friends and family for their favorite cookie recipes one of the first to come in was a recipe for cake mix cookies! 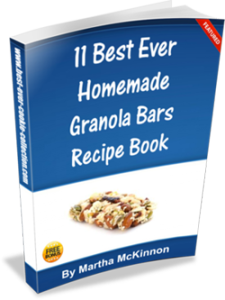 We are busy and getting busier all the time, so anything that provides a shortcut in the kitchen and can make life easier continues to get more popular. 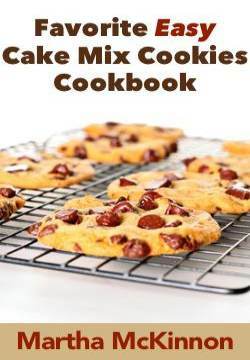 A cake mix saves you from having to mix and measure all the dry ingredients (flour, sugar, salt, baking powder, baking soda) found in most from scratch cookie recipes. This cake mix cookie recipe for German Chocolate Cookies calls for several yummy additions - chocolate chips, rolled oats, and raisins - making these deliciously sweet and chunky cookies your family will love! Preheat oven to 350F degrees. For best results, line baking sheets with parchment paper or silicone liners. Alternatively set aside ungreased cookie sheets. In a large bowl combine the dry cake mix and all other ingredients and stir with a wooden spoon, until well blended. Drop dough by rounded teaspoonfuls 2 inches apart onto prepared cookie sheets. Bake for 8 to 10 minutes or just until the cookies are set. Remove from the oven and allow the cookies to cool for a minute on the cookie sheets before transferring them to wire cooling racks to cool completely. 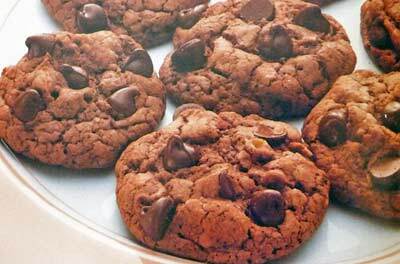 This recipe yields about 4 dozen German Chocolate Cake Mix Cookies. If you love German chocolate cake, you'll love how easy it is to make these crispy chocolate chews. Preheat oven to 350F degrees. For best results, line baking sheets with parchment paper or silicone liners. Or, set aside ungreased cookie sheets. In a large mixing bowl, combine the cake mix, melted butter, milk and egg. Beat with an electric mixer on low speed until well mixed. Stir in cereal and 1/4 cup flaked coconut. Drop dough by rounded teaspoons at least 2 inches apart onto prepared cookie sheets. Bake for 10 to 12 minutes or until cookie bottoms are lightly browned. Remove from the oven and allow the cookies to cool for one minute on the cookie sheets before transferring them to wire cooling racks to cool completely. Frost cooled cookies with coconut-pecan frosting. This recipe yields about 40 Crispy German Chocolate Chews.